The depoliticized narrative of the Integrated Water Resources Management (IWRM) framework has been reshaped by countries in order to consolidate and reconfigure national hydro-socio-political interactions. 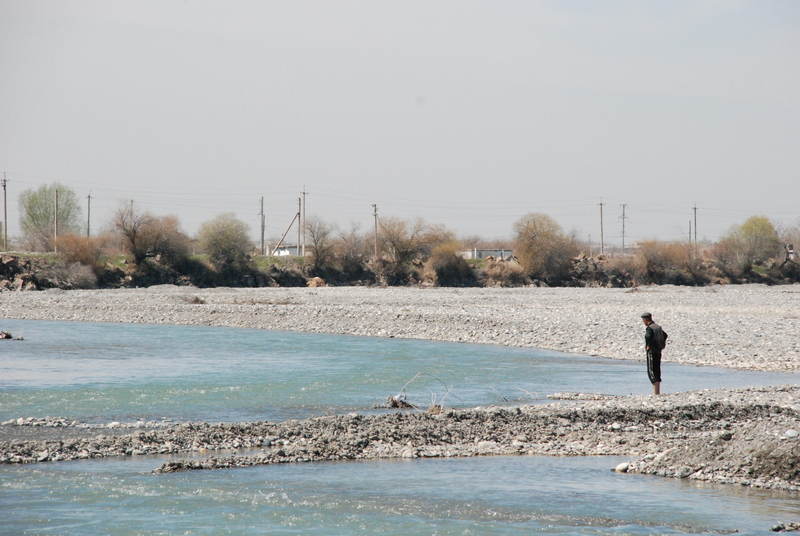 With the growing pressure on the region’s water resources, sustainable water management is crucial for economic and social development in Central Asia. Photo credit: Andrea Zinzani. Water resources management and the development politics linked to it have been central to debates between human geographers, political ecologists and environmental scientists over the last two decades. Reflections on different processes ranging from climate change and population growth to land degradation and inequitable water access since the end of the 1980s made evident that management of water resources is not merely a technical matter; it is a socio-political, economic, and environmental process, which involves a wide spectrum of different actors within society. In the last decade social and environmental scientists have started debating the political nature of water resource management—including issues of water security and inequalities of water access. They argued that the reconfiguration of water politics and governance linked to it have led to significant processes of spatial rescaling, institutional and political changes, power asymmetries and social contestations. Since the mid-1990s several international agencies—Global Water Partnership, World Bank, Asian Development Bank, USAID and others—have started to promote, particularly in developing countries, initiatives to improve water resources management according to principles of environmentally and socially sustainable development. In line with this trend, over the last two decades the Integrated Water Resources Management (IWRM) framework has become the global water paradigm, discussed first at the International Conference on Water and the Environment in Dublin (1992) and supported by the Global Water Partnership since 1996. The international organizations supporting the IWRM framework have streamlined a specific narrative which naturalizes and depoliticizes the paradigm, its practices, pillars and aims, while hiding its evident and complex political nature. Thus, behind the alleged support IWRM lends to development ideals such as multiple sustainability and democratization, the framework follows a specific neoliberal approach. It aims at rolling back state control of water resources, and seeks decentralization, liberalization, privatization, as well as the marketization of water resources. Reflecting on the interactions between water policies, development narratives and waterscapes, the book The Logics of Water Policies in Central Asia discusses the logics of implementing the IWRM framework in the area—a heterogeneous, arid and semi-arid region in the Aral Sea basin. IWRM processes are analysed in Uzbekistan and Kazakhstan, focusing on the basin and local level through a comparative approach. The study was conducted in the Middle Zeravshan valley of Uzbekistan and in the Arys valley of Kazakhstan. Source: Andrea Zinzani. In Uzbekistan, IWRM was not officially formalized at the national level. Although amendments somewhat supporting the IWRM narrative about the “Law on Water Use” of 1993 were issued in 2009, a new water code formalizing IWRM has not been enacted. This is despite the support of the development organization to radically reform the national institutional water framework. In comparison, in Kazakhstan IWRM was supported and accepted by the national water authorities and thereafter officially formalized through the new Water Code of 2003. However, this institutional difference is less significant in view of the government procedures and power reconfigurations that have occurred since the 2000s till today. Concerning the local level, in the Uzbek case study, the analysed water user associations (WUAs) represent a reinterpretation of the former local Soviet water framework, which is supported by the local government hierarchies and involves mostly just a change in names. WUAs were established and are still guided by members of the province and district hydraulic bureaucracies in contrast with the IWRM rationale. Differently in the Arys valley, Kazakhstan. On the one hand WUAs have been established by water users in accordance with the IWRM narrative, while on the other these processes were interfered with by the bureaucracies of the district departments and of the former state and collective farms. Since 2010, a lack of technical capacities, financial budget and state support have led to the failure and bankruptcy of different WUAs. In such situations in which irrigation management transfer fails, water resources management becomes again controlled by state authorities, running counter the principles of IWRM. While Uzbekistan in the last decade has kept a strong state-centralized approach in its socio-political structure and in water management procedures, Kazakhstan, after a decade of supported reforms and a slight shift towards decentralization (from the late 1990s to 2010), has undertaken a national re-centralization process in recent years. The evidence shows that IWRM has not been implemented as initially suggested by the international donors. Although with differences between the two states, IWRM implementation has been strongly influenced and shaped by local governments, upsetting the paradigm’s aims. Only the pillars which did not question and change current hydraulic bureaucracies and related structures have been selected and implemented, in order to achieve their national political-economic strategies. Thus two different national pathways to water reform have emerged, in contrast with the IWRM narrative. In sum, the evidence shows that water resources are strongly embedded in the political economy of the two states, especially in Uzbekistan. In contradiction with the aims of the donors, the implementation of IWRM has been significantly re-politicized by the two states to pursue national strategies of hydro-political reconfiguration. On the one hand, the Uzbek government consolidated its state power and authority, and its social control through a centralized water resources management strategy. On the other hand, Kazakhstan takes advantage of IWRM to recentralize water management through a rescaling process at the basin and local level. This contribution enables us to understand how a depoliticized water narrative has been shaped and re-politicized to consolidate and reconfigure national hydro-socio-political interactions. It provides a reflection on the complex and contested relations between water politics, development narratives and the reconfigurations of waterscapes. 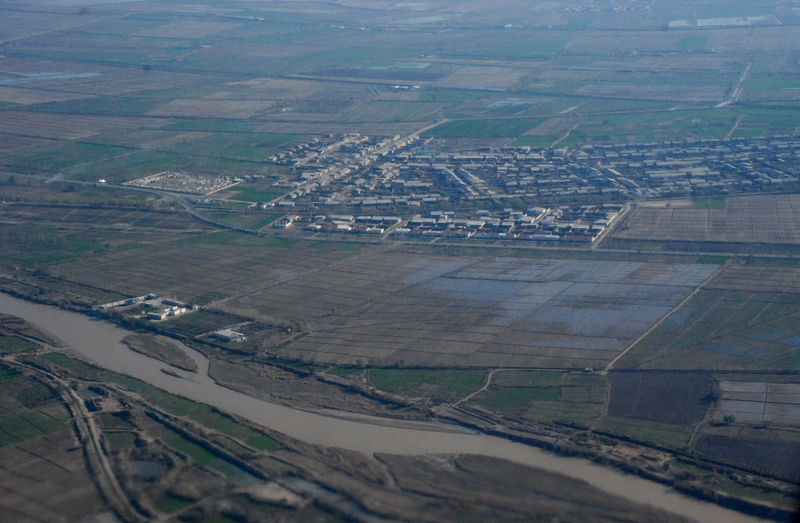 Since the breakup of the USSR in 1991, the Central Asian states have been struggling to manage their massive irrigation infrastructure put in place during the Soviet era (IWMI Central Asia). Photo credit: Andrea Zinzani. * Andrea Zinzani is a postdoctoral fellow at the Centre National de la Recherche Scientifique, UMR 7528, Mondes Iranien et Indien.